Sound University Europe is a worldwide musical training institute. Our mission is to teach, inspire and stimulate our students to turn their musical ideas into reality. We provide Artist-in-Residence Producer Programs, through which we help students to create a collective music production based on a specific musical genre and theme and supported by one or more international top producers in that specific genre. The programs cover all sorts of subjects regarding music production and will take place in a beautiful, inspiring environment. As Creative Director and Head Lecturer of Sound University Europe, Mark is responsible for the quality of our programs and teachers. 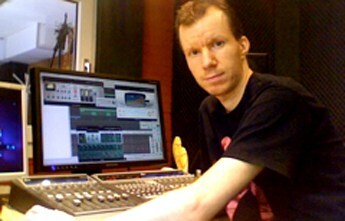 After he graduated from the Royal Conservatory in The Hague (Sonology), Mark was an sound engineer for various companies and worked as a head lecturer for the international SAE Institute in Rotterdam for 12 years and he’s also teaching for other audio engineering and music production institutes like Sound Education. In 2000, Mark set up his own Multispace studio where he works with and for various artists in different musical genres and he’s an ambient music producer as well. His work entails recording, production, mixing, mastering and audio restauration. Also various music production courses are given in his studio. Mark has well over 20 years of experience in the field of music production and teaching and likes to share his expertise with the students of Sound University Europe. Sound University Europe understands the importance of our customers’ privacy. In our Privacy Statement you can read about the information we collect about you when you visit this website. Our Privacy Statment also tells you how we use, share and protect this information; what choices you have about how this information is used; and how you can access and update this information. In our Terms and Conditions you can read more about the payment conditions of Sound University Europe.